Enjoy the good life in this most inviting home. 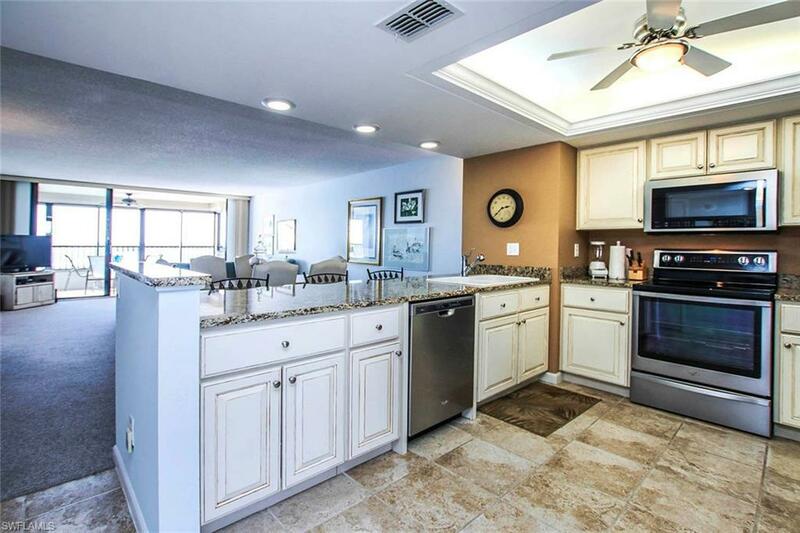 Carefree living in this community that surrounds you with magnificent water views. 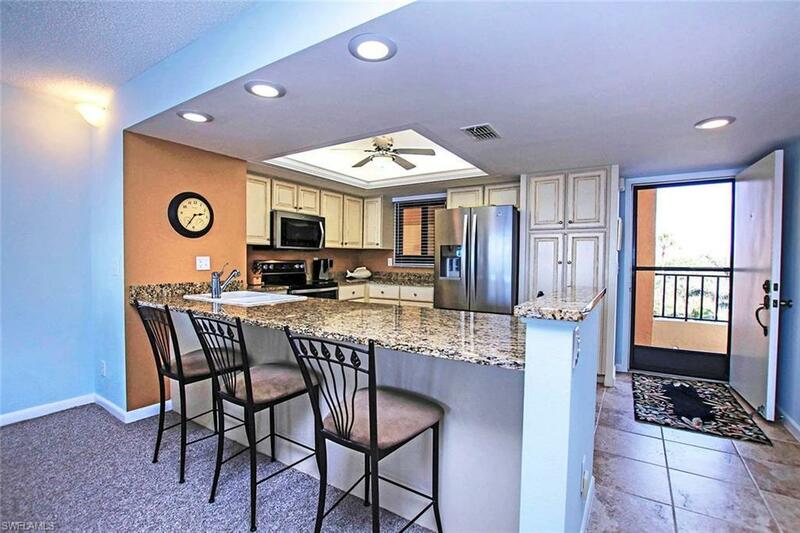 This condo is in the middle building of the complex and prides itself with sunsets all year around. Newer Kraftsman style kitchen with a very special designed pantry. 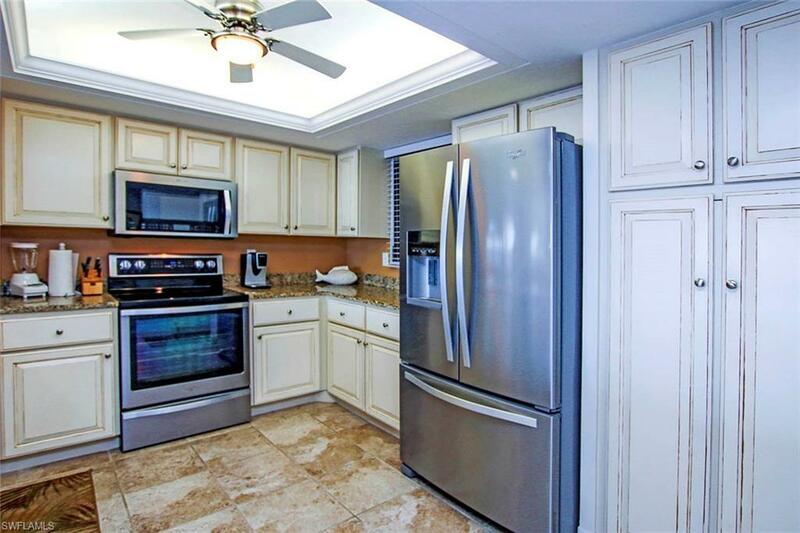 Granite counters, new stainless-steel appliances, hurricane shutters on lanai and all other windows have hurricane glass. Freshly painted. 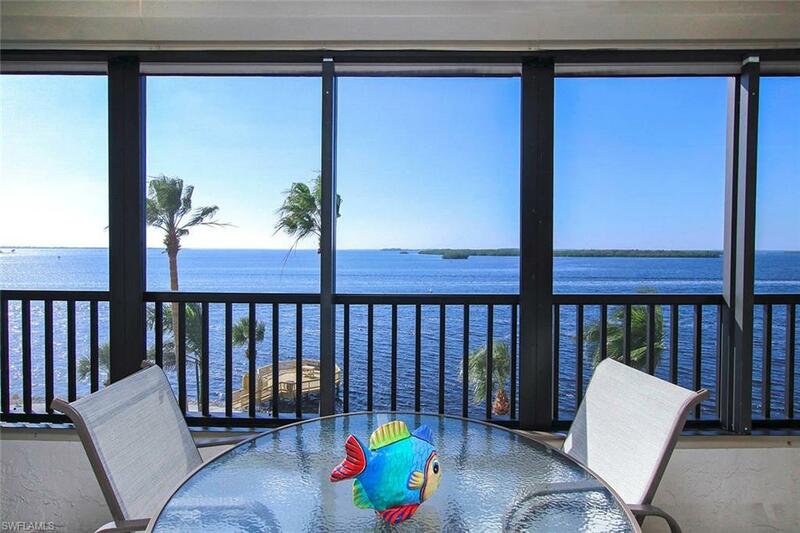 The enchanting view is complimented by one of the fishing piers where you can frequently see your neighbors. Pet friendly and well managed community. Owners and tenants enjoy a social membership to the Sanibel Harbour yacht club. You never will need to cook. This is a turnkey property, All furnishings,pictures, kitchen equipment etc.New air conditioning system has been installed 4-3-2019.